About 3,000 men, women, and children were killed during May and June at the Luka-Brcko camp, which held approximately 1,000 civilian internees at any one time. Some 95% were ethnic Bosniaks, and the remainder were Croatians. Approximately 95% were men. 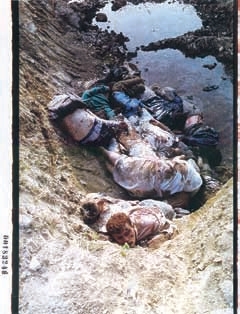 Until May, the bodies were dumped into the Sava River. Thereafter they were transported to and burned in both the old and new “kafilerija” factories located in the vicinity of Brcko. 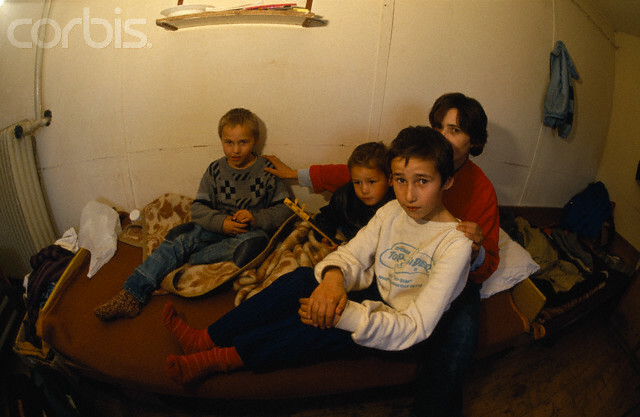 All internees in the camp came from within a 14 kilometer radius of Brcko. The first hangar was occupied by Bosniaks from Brezovo Polje. The Serbian police appeared to have administrative control of the camp. Upon arrival, all internees were questioned by one of three inspectors who decided their fate. 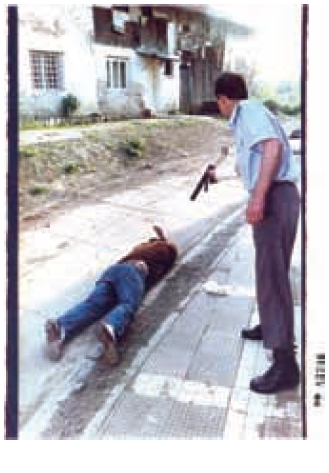 For example, if a person was a member of the SDA [Bosniak Party for Democratic Action] or HDZ [Croatian Party for Democratic Action] political parties, he was executed at the camp. Other questions included whether the person had foreign currency, gold, or weapons, or if the neighbor might have any of these items. Without a signature from either the police chief at the camp, or one of the military officers, a person could not be released. 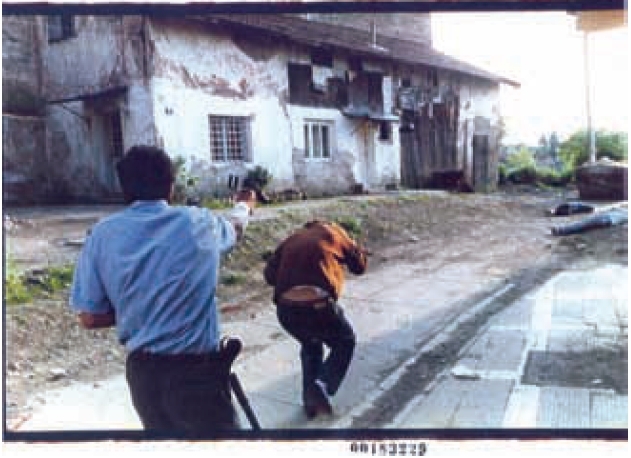 Approximately 1,000 people were released from the camp when Serbs vouched with their lives – and signed documents to that effect – that the internees would not leave Brcko, discuss politics, or own weapons. These people were all released within a 48-hour period; thereafter releases were not authorized. 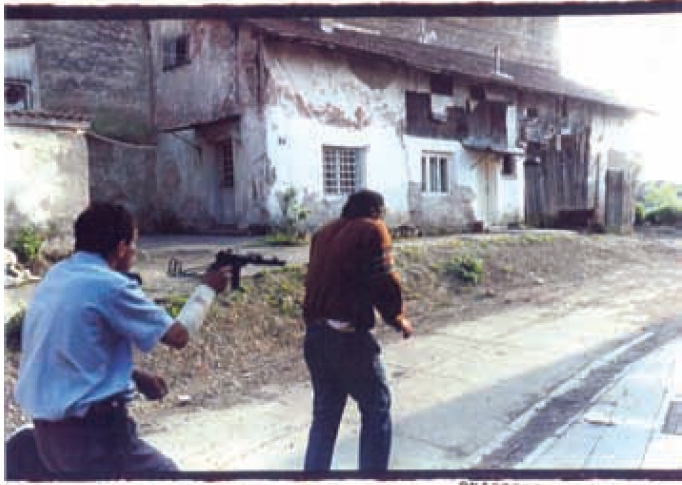 One example was an individual who had his ears cut off with a knife by a Specijalci soldier. As he grabbed for his ears in pain, a young women cut off his genitalia with an instrument called a “spoon.” As he fell forward and lay on the ground, he was shot in the head by a guard. In other instances, ears and noses were cut off and eyes gouged out. Knives were used to cut into the skin of internees all the way to the bone; some fingers were cut off entirely. All was done in front of other internees. Beatings with clubs were common. A Specijalci soldier used a wooden club with metal protruding from it to kill several people. He forced internees to lick the blood from the metal studs. Another shot an individual in the back several times after he had carried a dead body behind the third hangar. In June, some 50-60 men had their genitalia removed. 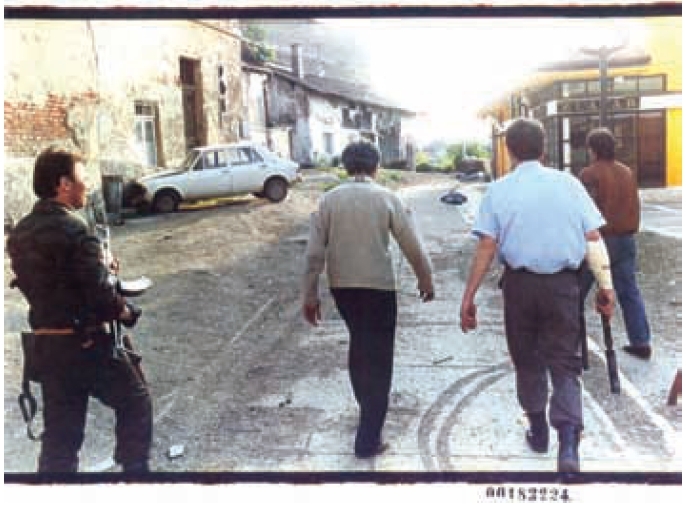 Approximately 10-15 Chetniks [definition: In World War II – Serbian nazi collaborators; In Bosnian war – Serbian paramilitary thugs], Yugoslav Federal Specijalci, and Serbian police were involved during the daily occurrences, but some participated on a more regular basis. Some were drunk. Internees were told to sing. Those who did not sing loud enough were shot point blank. After they had started singing, the men would come in and randomly start shooting. About 50 men, women, and children were killed in one case, allegedly in retaliation for the death of 12 Chetniks who had been killed on the front. This type of shooting occurred on a daily basis with anywhere form 15 to 50 victims. There was also a torture room at Luka-Brcko camp. Those tortured were either killed immediately after being tortured or were left to bleed and, if they did not die in 2 to 4 days on their own, shot to death. They were left lying in their own blood in the living areas and other internees were not allowed to help in any way. People were beaten with clubs to the point that the bones in their faces caved in, and they died. The internees were then “volunteered” by camp personnel to carry the dead bodies behind their living areas or to the camp garbage dump. During the movement of the bodies, additional internees were killed when a camp official took shots at them. Another frequent occurrence was the shooting of internees with three bullets in the back of the head of each victim. 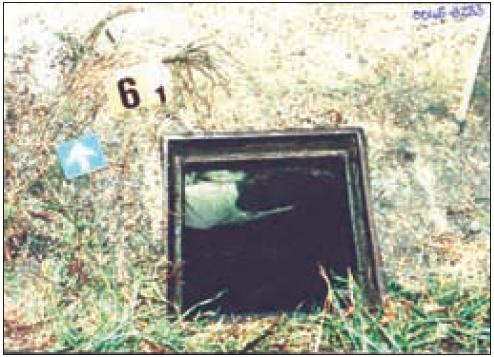 This was done at a drain, and the blood was allowed to go down the drain that emptied into the Sava River. Internees carried victims, some still alive, and had to dump their bodies at the camp garbage dump. Internees were sent on a detail to clean the blood from the floor and dump dead bodies outside of a Serbian building in Brcko. A female internee was sexually assaulted by a soldier while her husband and other internees watched. One Chetnik sexually assaulted several women, some as young as 12, in front of internees as Specijalci soldiers held the women to the ground. The same man killed 80-100 people at the camp. Another Chetnik sexually assaulted women and killed internees, in some cases using an ax to the head. Serbs burned dead bodies of Bosniak (Bosnian Muslim) civilians at the old kafilerija factory in Brcko during the 1992 Bosnian Genocide. 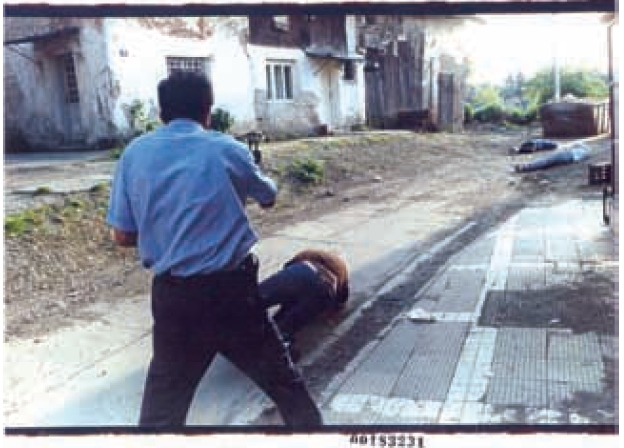 Some 3,000 victims perished in the systematic killings that occurred in May and June 1992. The dead bodies of internees from the Brcko camp were burned at the old “kafilerija” factory. The trucks carrying bodies drove into a building that had three industrial-sized cooking vats with furnaces used ordinarily to make animal feed. The bodies were dumped inside the building with the three furnaces, then Chetniks dumped the dead bodies into the furnaces. Before the bodies were dumped, jewelry was removed from them and, in order to remove rings, fingers were cut off. Gold and silver teeth were removed from the bodies as well. Chetniks kicked the jaws of the corpses open to see if they had gold or silver fillings and, if so, removed them with pliers. 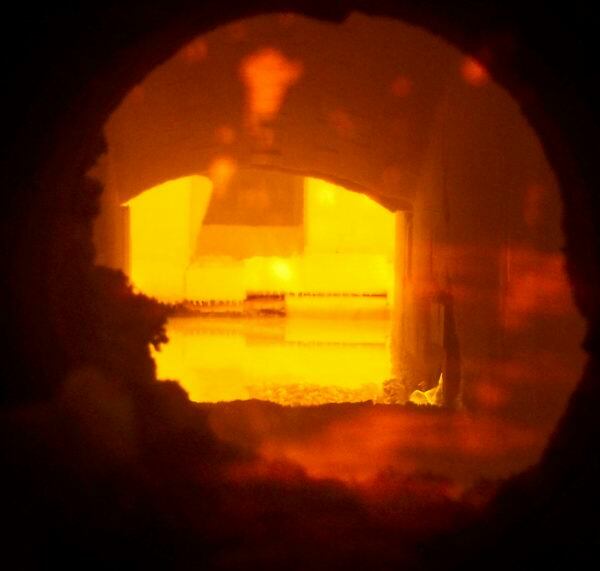 The transporting of the bodies to be burned began in mid-May. Trucks left every morning at about 4 am. On a typical morning, three trucks left together. One was a civilian refrigerator truck with the dead bodies and three Chetniks in the cabin, the second had 10-12 internees who unloaded the bodies at the factory, and the third had approximately 13 Chetnik guards. After they arrived at the factory and had began unloading bodies, two or three more refrigerator trucks often arrived with approximately 20 dead bodies transported in each vehicle, perhaps from another location. All the trucks were Yugoslavian-made civilian trucks. “They raped one woman whose children and parents were present, along with everyone else… They took 15 people out and slit their throats on the grass… Three people who were watching at the window and were noticed by the guards, their throats were slit as well. 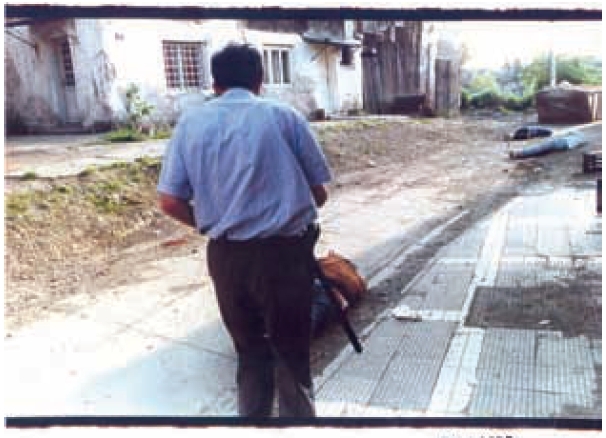 With my own eyes I have seen this… I will forever remember [my friend’s] screaming and yelling not to kill him, and not to slit his throat” – Alija Lujinovic, Bosnian Genocide survivor. 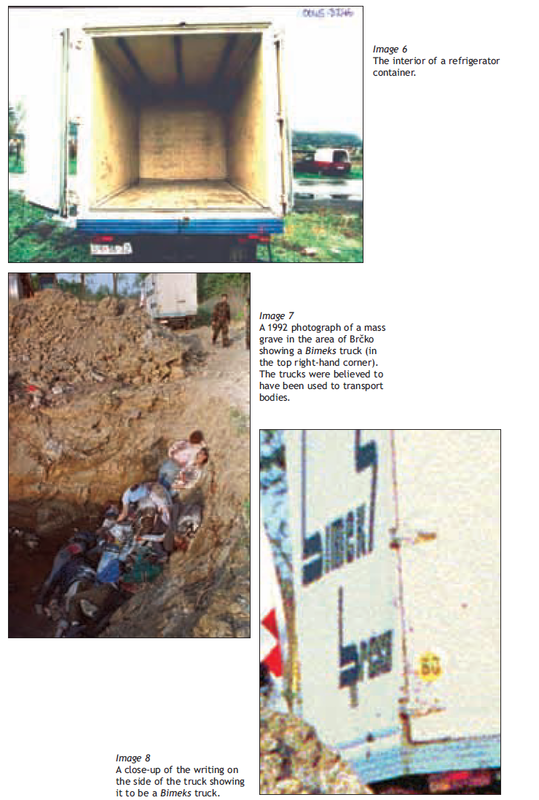 (Click to Enlarge) Bosnian Genocide (1992): Bosnian Genocide (1992): A 1992 photographs of mass grave in the area of Brcko showing a Bimeks truck (in the top right-hand corner). 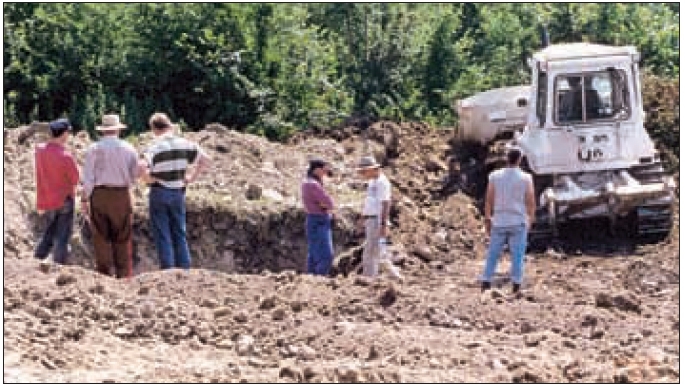 The trucks were believed to have been used to transport bodies. 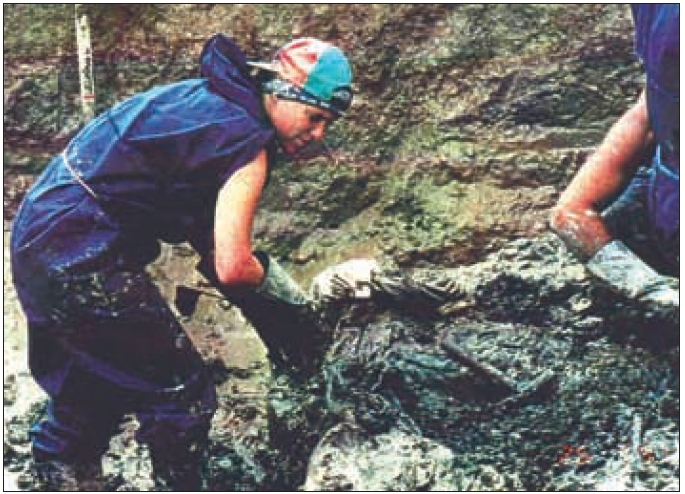 Bosniak (Bosnian Muslims) victims tied, killed and thrown into mass grave. Alija Lujinovic, who is from the town of Brcko in northeast Bosnia, told his horrific tale to a closed-door session of the Senate Armed Services Committee, then again to reporters at a news conference. WASHINGTON — Two eyewitnesses say they saw as many as 50 Muslim [Bosniak] prisoners killed at a time at Serb-run detention camps in Bosnia as part of a bloody campaign that eventually claimed 3,000 lives, the State Department says. The Bush administration believes the atrocities to be the worst of the six-month war. They were said to have taken place in the spring in the northwest city of Brcko, not far from the scene of Serbian air strikes Monday that reportedly left 15 dead and 40 wounded.